Renowned cleric, Felix Meduoye has urged the Federal Government to do its best to return Leah Sharibu, the remaining Dapchi schoolgirl with the Islamic terrorist sect, Boko Haram. Meduoye, the General Overseer of the Foursquare Gospel Church, Nigeria, made the demand at a press conference organized by the church about its annual convention. The cleric noted that Leah, if killed by her captors, would create a bad image for the country. 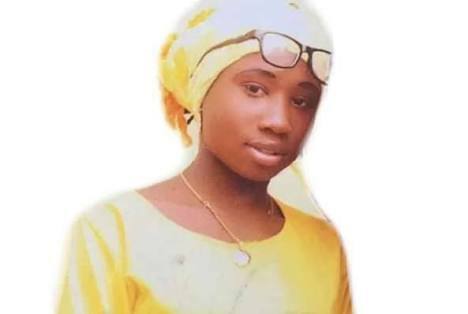 In his words, “We thank God that our dear sister, Leah Sharibu, stood for the faith and that is why she is still in the camp of the terrorists. “For me, when I heard of it for the first time, I cried just like the mother would cry. I felt so bad and I think it is a serious problem for this country if that girl is killed because it will be a bad dent for us as a country. I think the government should do all that it can to see that the girl is brought back alive because it will speak volumes if she dies. The teenager, who is still being detained by her captors for refusing to convert to Islam, was among the 110 schoolgirls abducted by the insurgents on February 19, 2018, while others were released but with five unaccounted for.